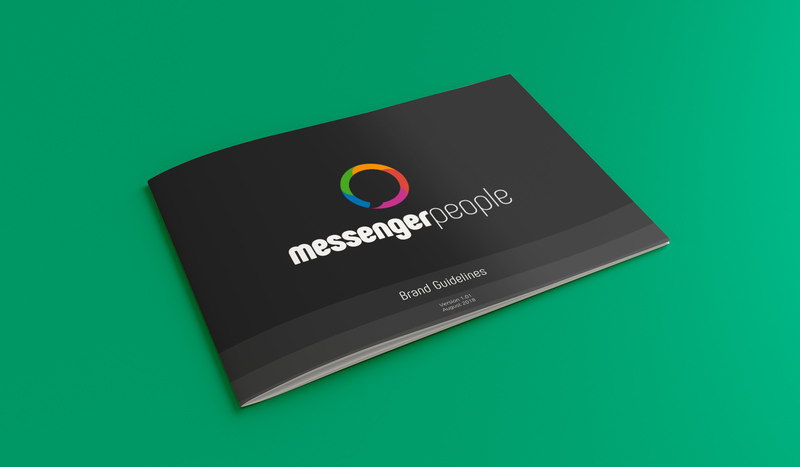 Here are the MessengerPeople Brand resources, available for download. By clicking on a download button, you agree that you have read and will abide by the Brand Guidelines. 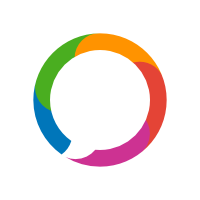 The MessengerPeople brand resources are to be used exclusively in direct reference to MessengerPeople GmbH. It must be clear that the sender does not speak for MessengerPeople GmbH, but simply refers to them. 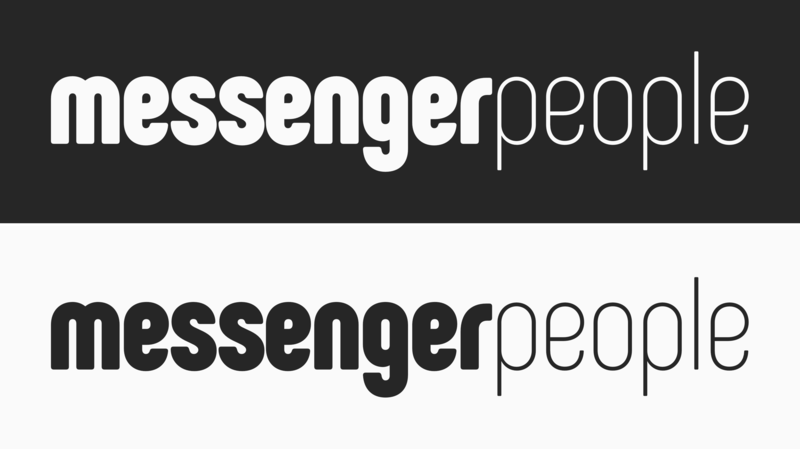 The MessengerPeople logos, graphics, photos, and all other intellectual material are not to be used as merchandising products unless specific consent is given by MessengerPeople GmbH and the correct licensing has been submitted. 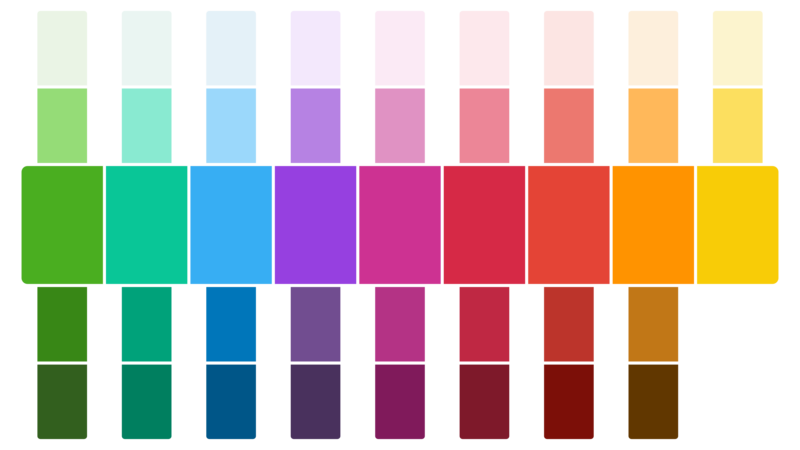 All information about using our brand resources, including detailed color tables. is our seal of quality and our hallmark as messenger services specialists. 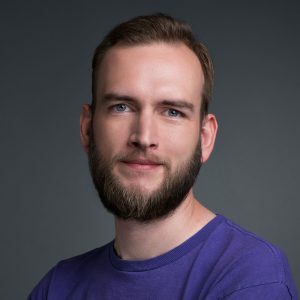 Our logomark refers to the diverse array of messengers that we integrate into our solution: our unified messenger approach is one of our key characteristics. Our logotype stands for our passionate team of experts. 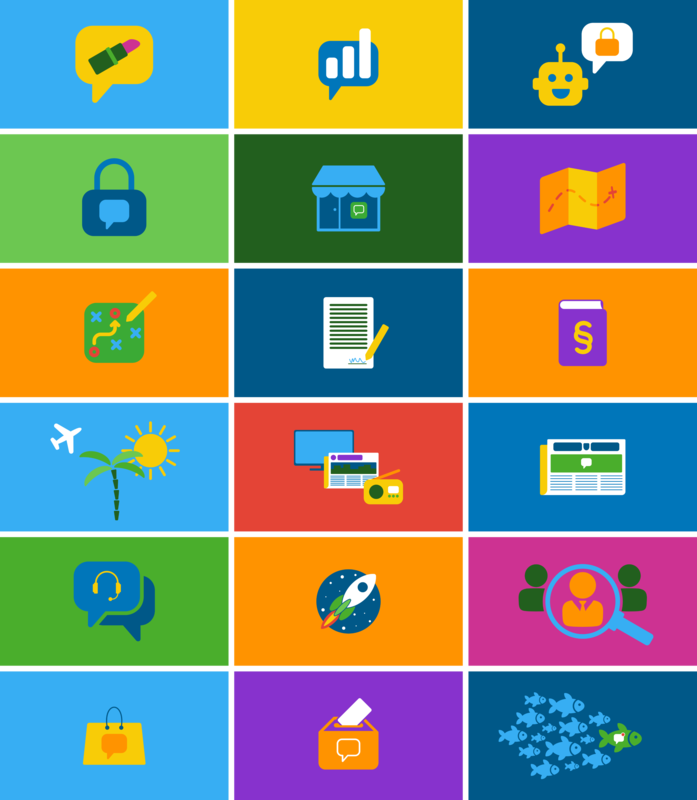 Together, the two halves of the logo unite our comprehensive know-how with the user-friendly, efficient, unified messenger solution that we’ve developed. Version 1 (vertical on a dark background) is preferred. When necessary in context, a horizontal version (h) is possible, as well as a version with black font on a light background (2). reflects the variety of messengers that we bring together in our service, and for which we offer our professional services. The graphic is compelling, dynamic, and lively. The logomark alone can only be used when it is clear in context that it refers to MessengerPeople. An example is social media profile pictures, where the name is always displayed nearby. is based on the typeface Phenomena. It is modern, friendly, and self-confident. The round forms cite the logotype from our previous company, WhatsBroadcast GmbH. If you cannot produce the logo in color, you should only use the logotype. This is also the case when the logo must be produced on a colorful background.